Our time in Ikitsuki started at the the Ikitsuki museum. One of the museums curators Mr. Nakazono showed us the Kakure Kirishitan (hidden Christians) artifacts and also helped us gain an over view of Ikitsuki’s history. 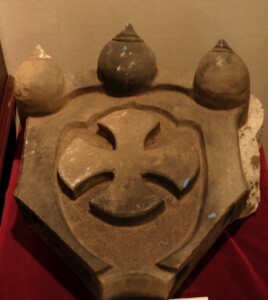 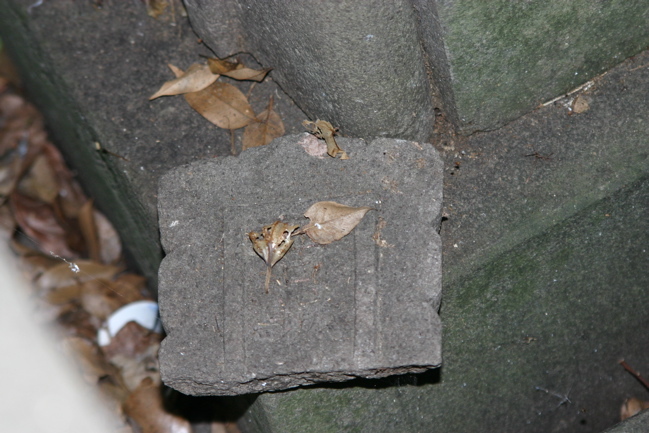 Here is a roof tile that was commissioned most likely by a wealthy Christian for their home. 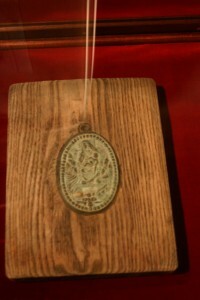 Pictured here is one of the original decrees against christians. 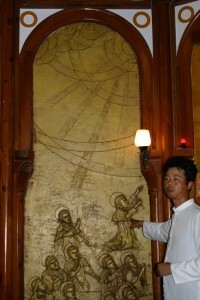 In hopes of finding Christians, officials would make everyone in an area step on a christian image to prove they were not christians. 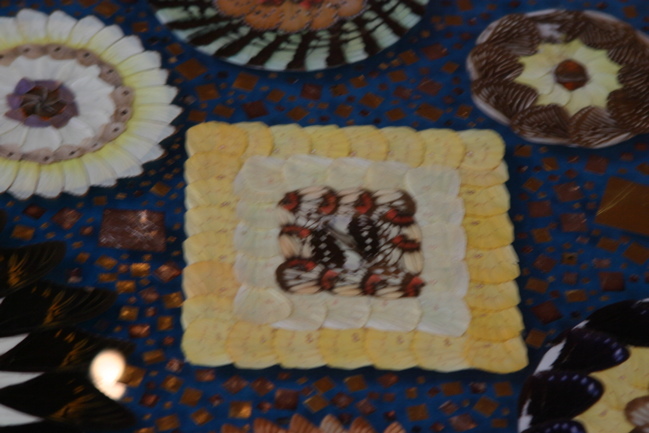 These images were called fumie. 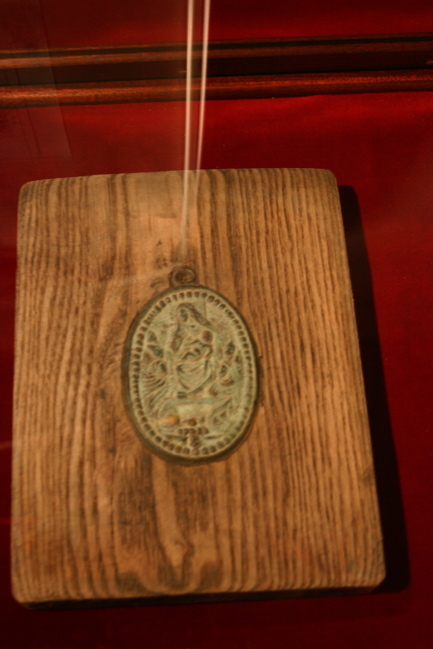 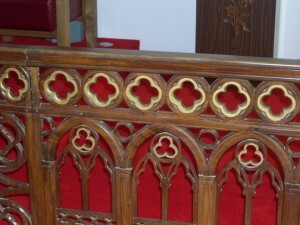 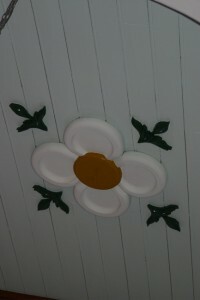 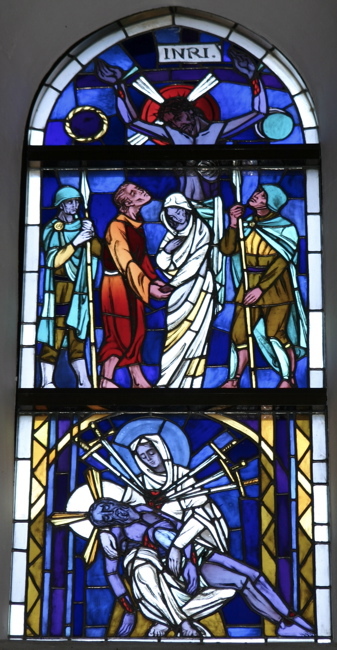 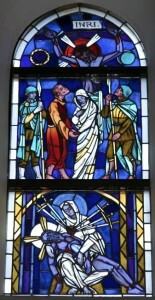 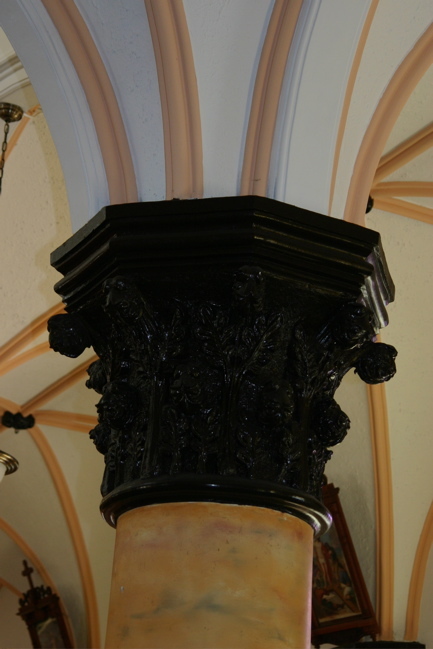 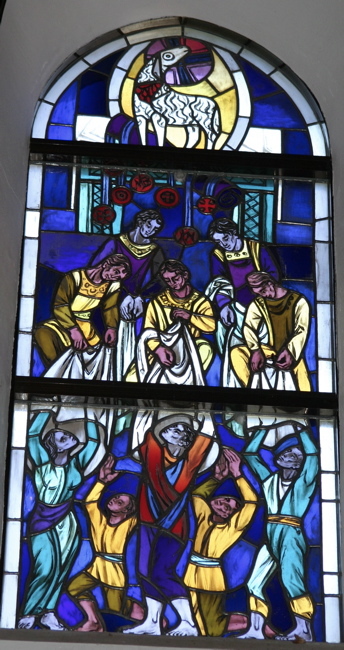 They usually depicted Christ of Mary and crosses. The museum had some early Japanese Christian art. Here we have Mary feeding Jesus. These scrolls were hidden and passed down through the generations in hidden Christian families. 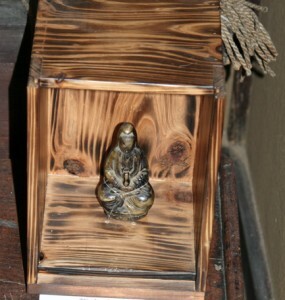 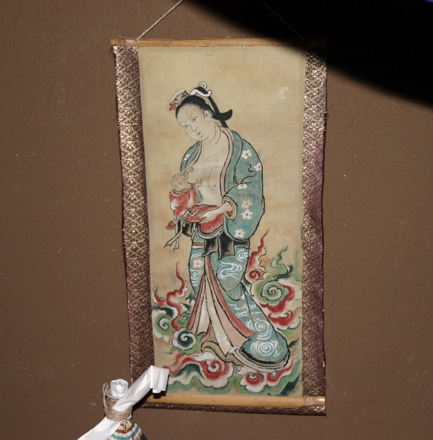 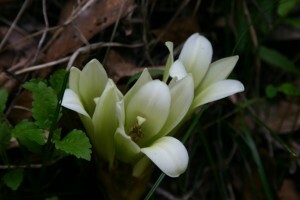 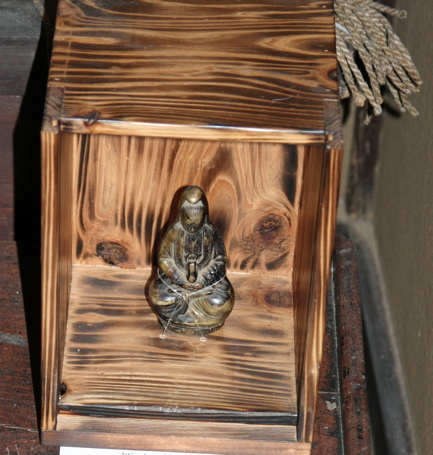 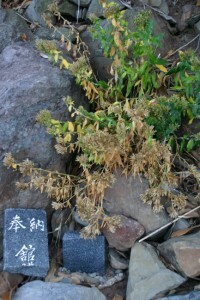 Small image of Mary that is disguised as a buddhist image. Here is another hidden Christian scroll. 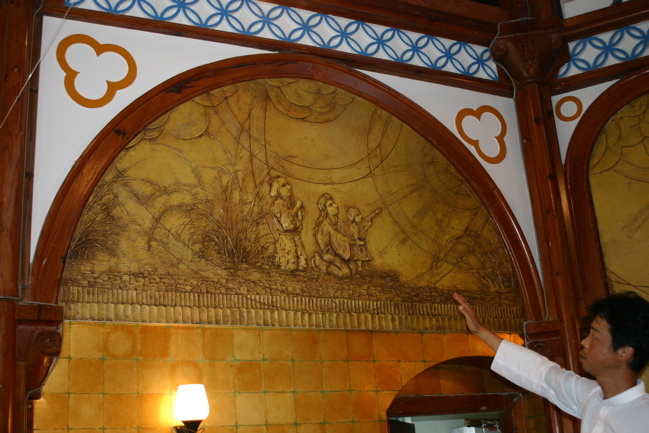 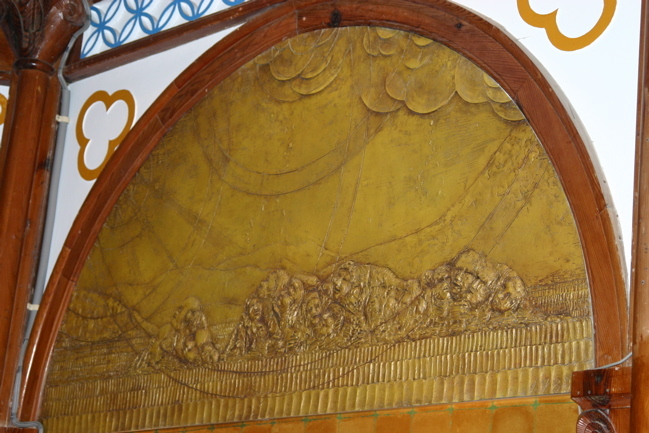 It depicts Mary Jesus in heaven possibly with other impressions of god. 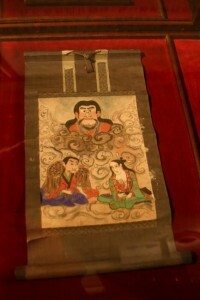 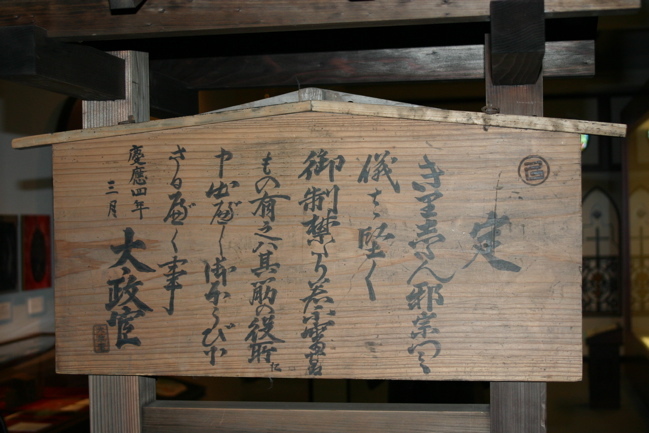 These scrolls show the Japanese impressions of the Christian teachings. 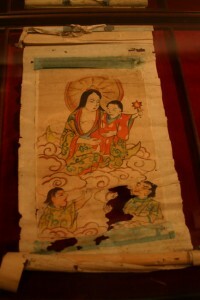 This scroll is of Mary and Jesus as an infant. 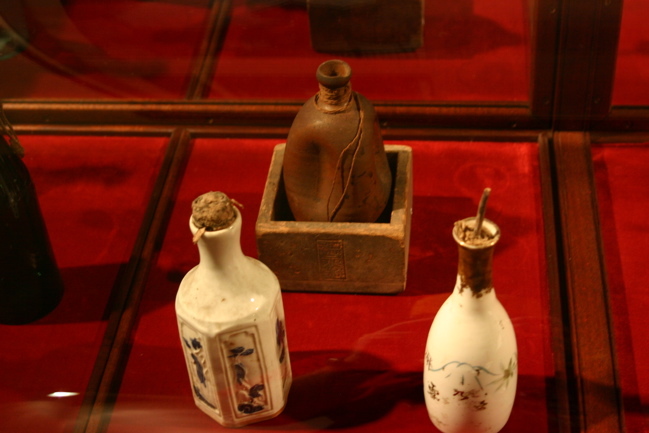 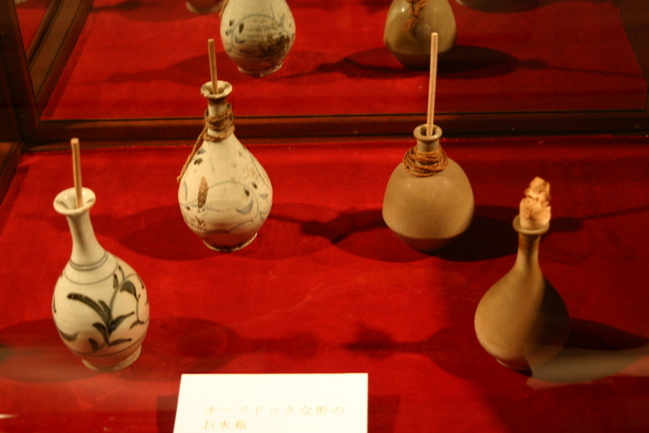 These ceramic containers were very important in the hidden christian tradition on Ikitsuki. The Ojiyaku would have to go to a small island off the east cost of the Ikitsuki to collect the water for baptisms in them. 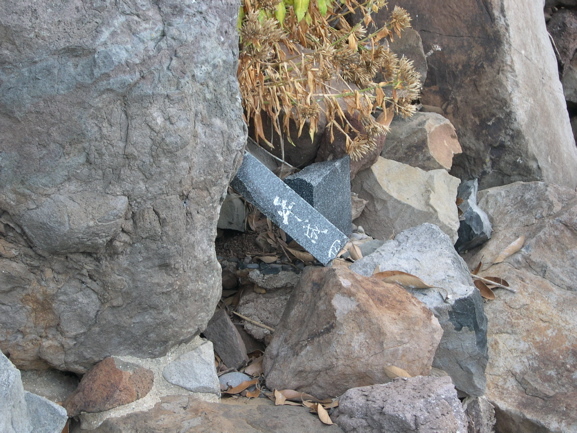 This water would be used for baptisms preformed by the Ojiyaku. 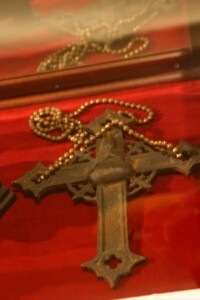 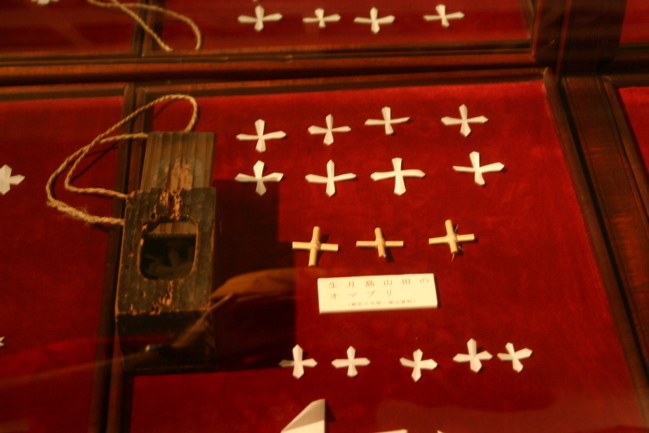 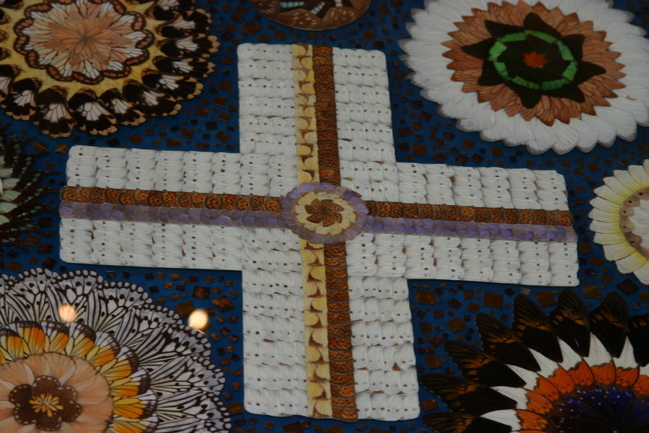 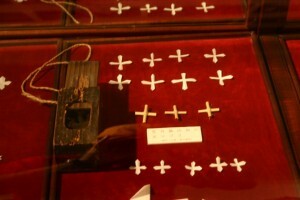 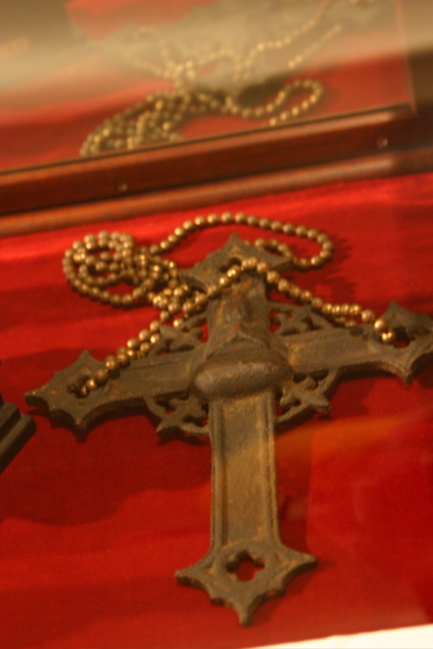 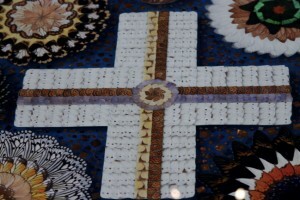 These paper crosses were placed in the mouths of the hidden Christian for healing purposes. 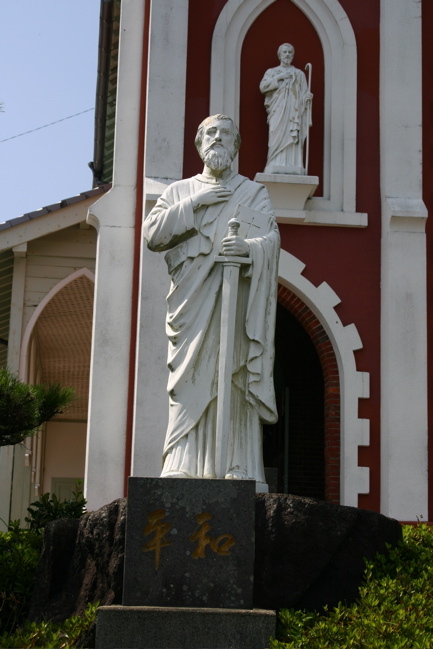 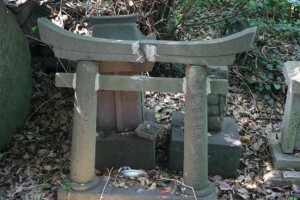 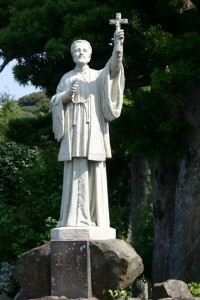 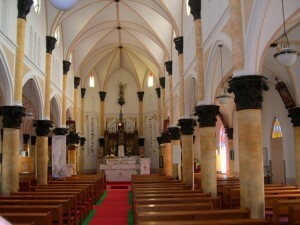 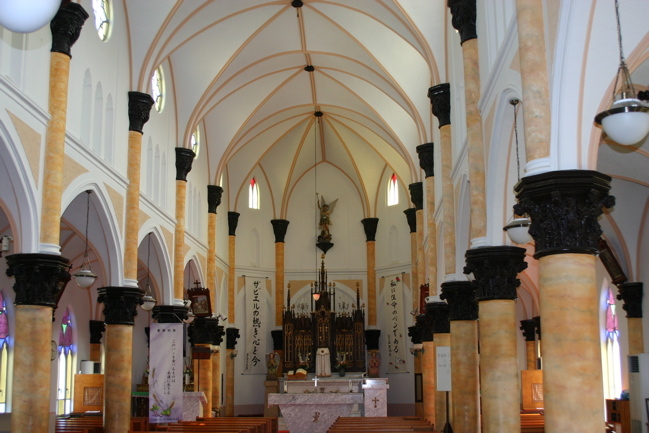 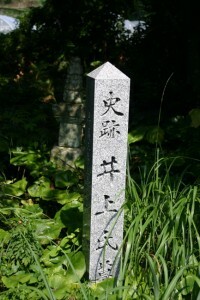 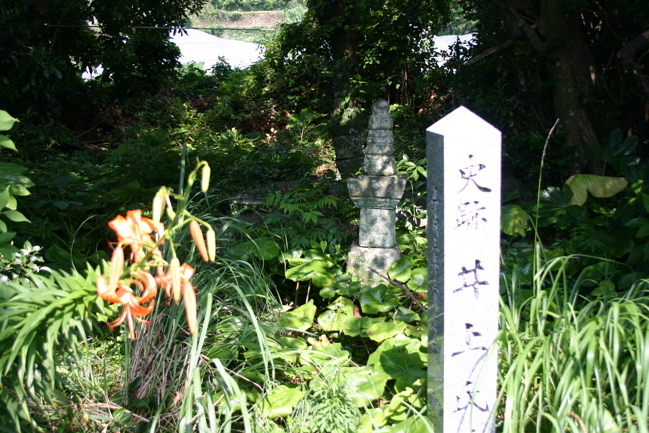 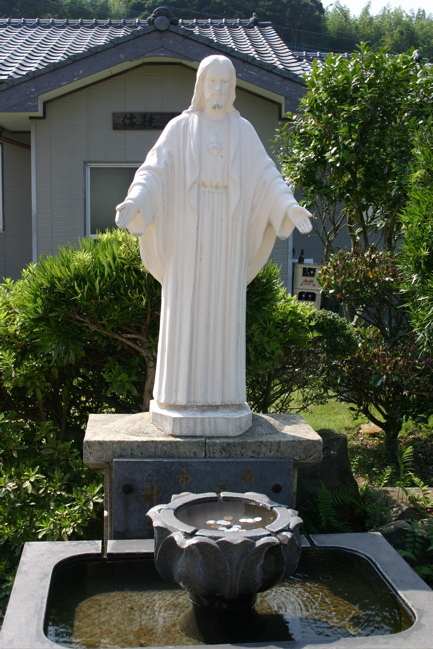 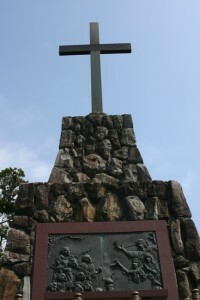 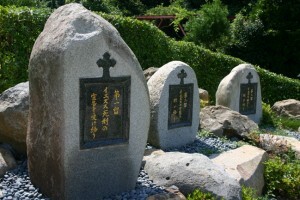 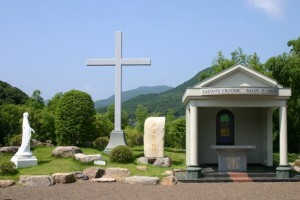 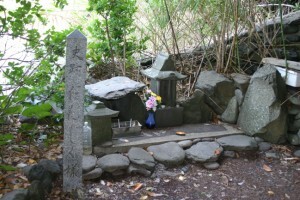 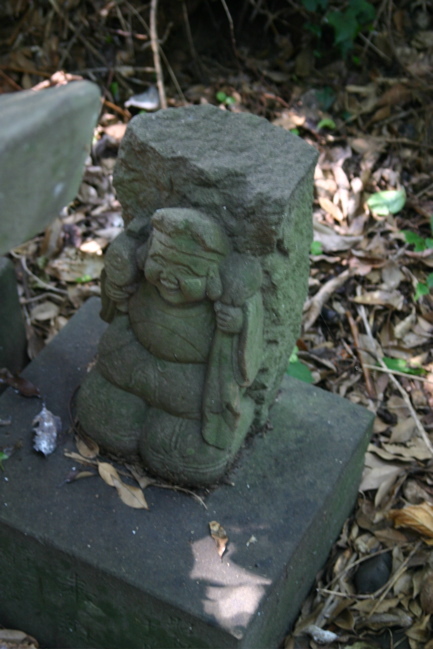 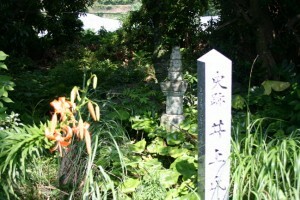 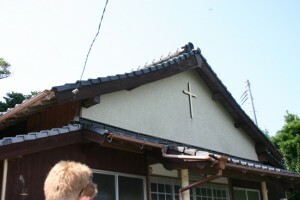 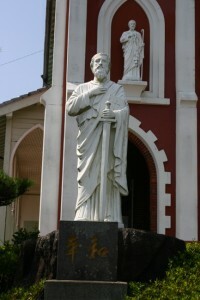 While a large number of Christians on Ikitsuki remained hidden, many rejoined the Catholic Church when it returned to Japan. 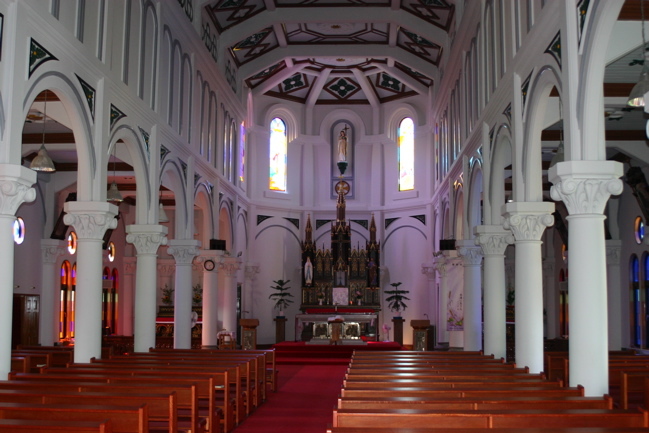 We we able to see and explore the catholic church on the Island. 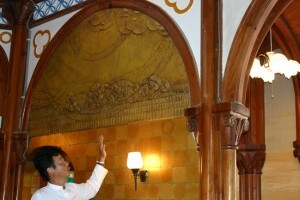 The priest explains the art work in the church. 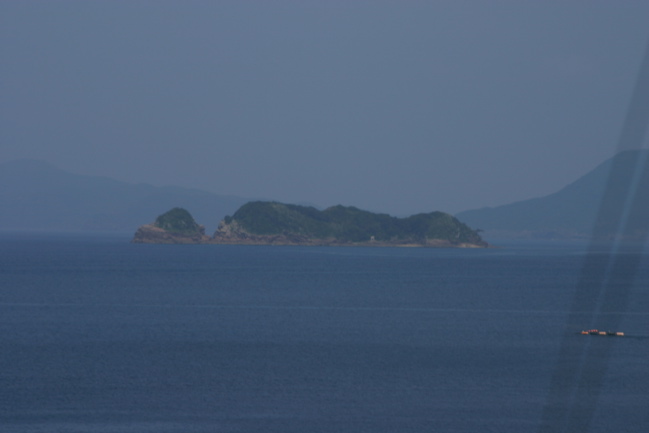 Depicted here is the island from which the baptism water was collected. 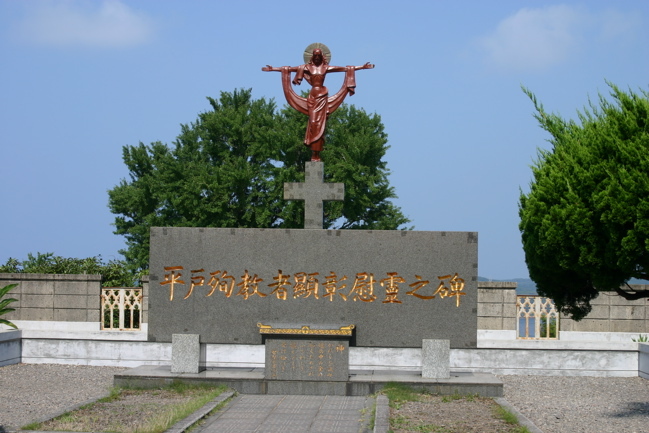 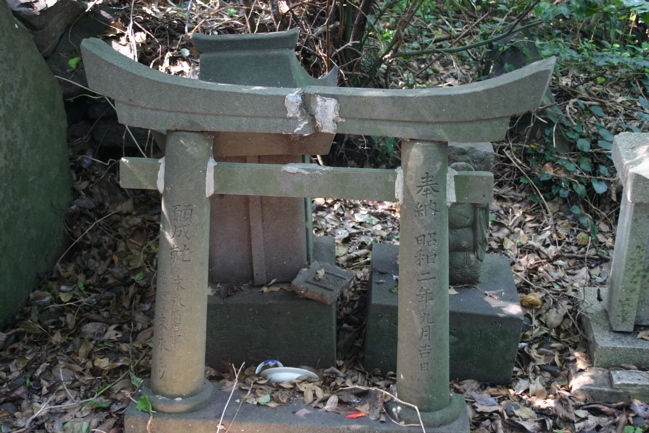 Faces can be clearly seen in the Island, these are the faces of the hidden christians that suffered in Ikitsuki. 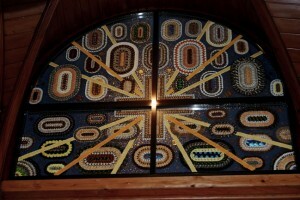 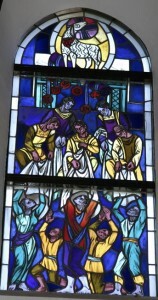 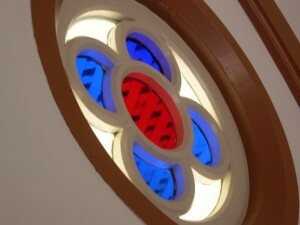 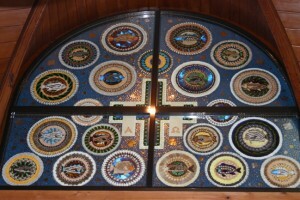 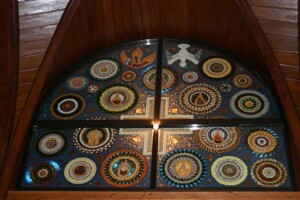 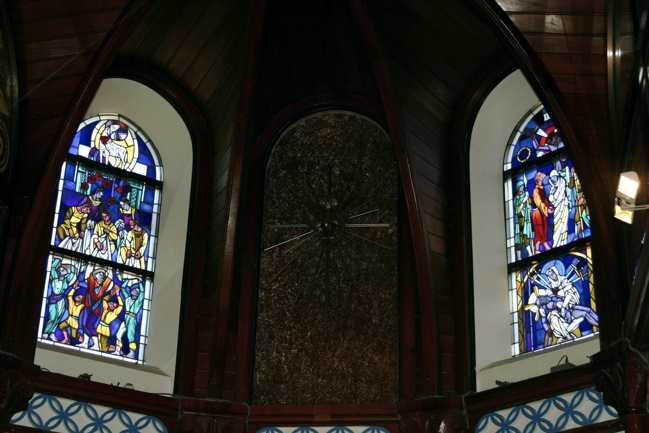 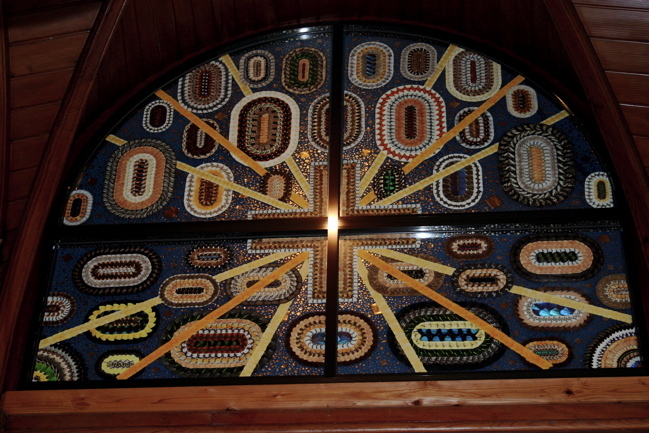 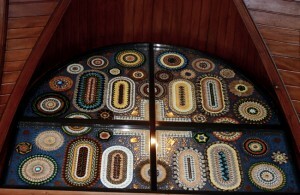 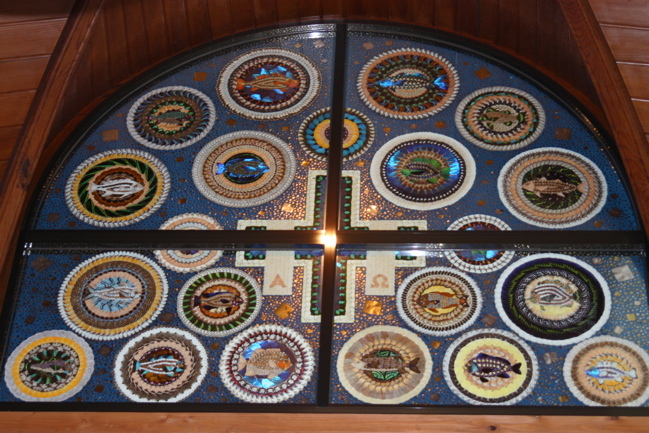 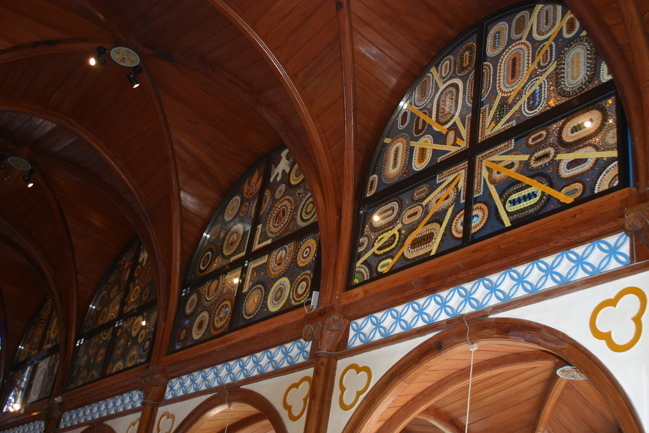 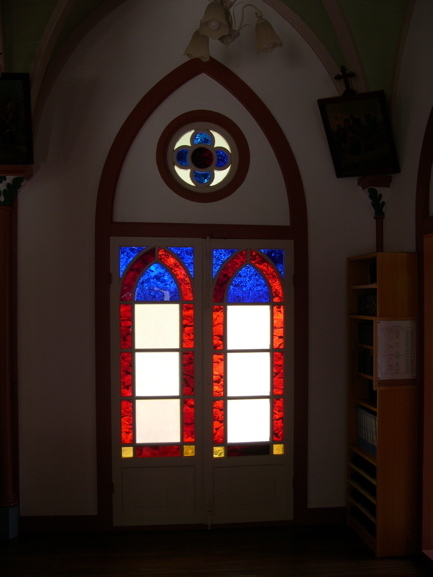 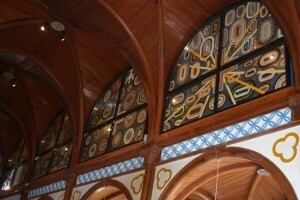 Here are the some of the few stain glass windows of the church. 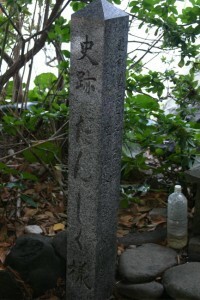 Each freeze has special significance to the Christian history of the Island. 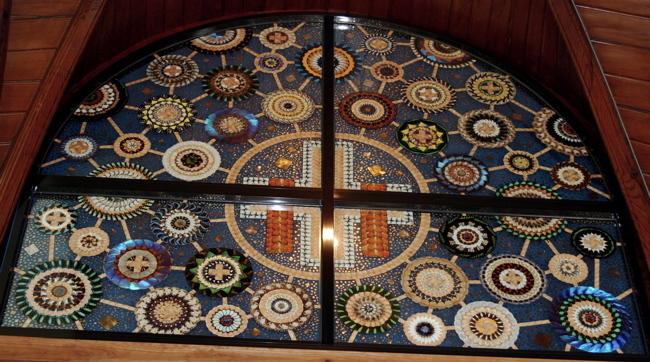 While the stain glass and freezes were nice, the most stunning aspect of the church are the mosaics that run the length of both sides of the church. Besides the beauty of the mosaics, the fact that they are made from single wings of butterflies makes one think of the amount of labor that went into making this church so beautiful. 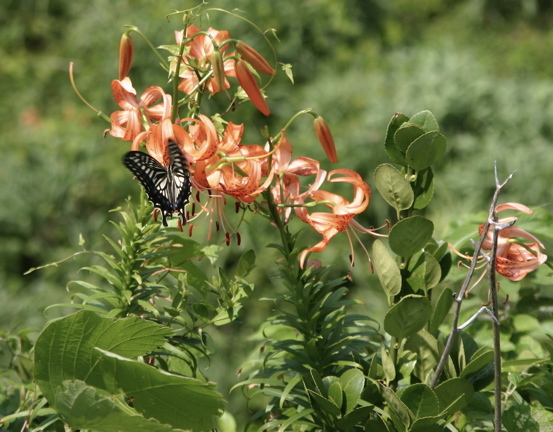 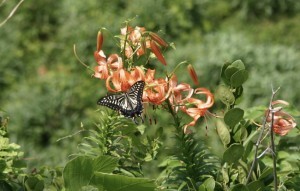 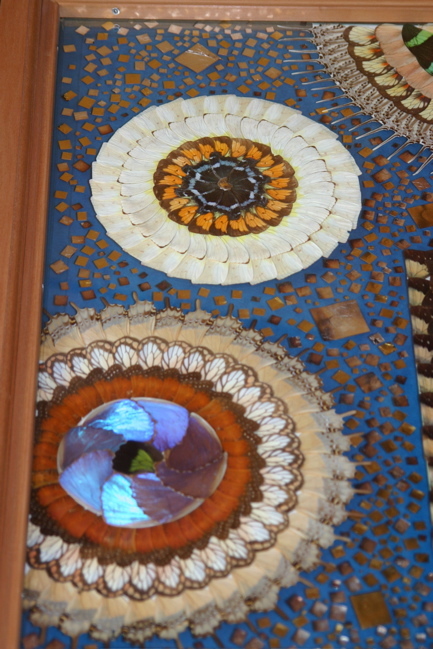 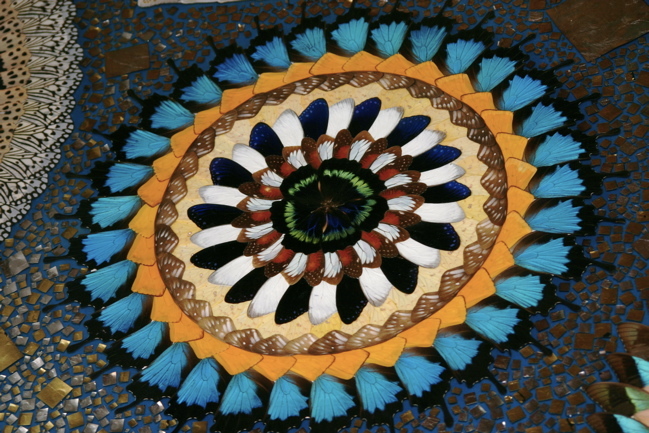 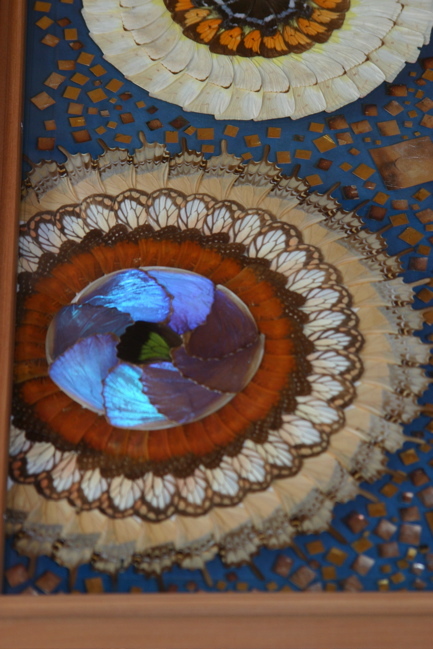 The priest who help build and run the parish had a passion for butterflies and his practices as a Lepidopterist allowed for this breathtaking art to be made. 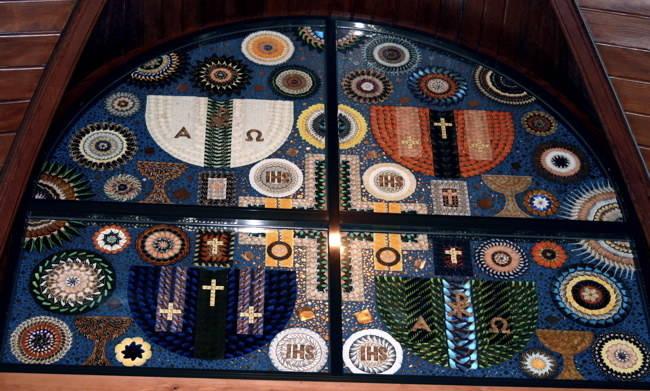 The details of each mosaic are incredible. 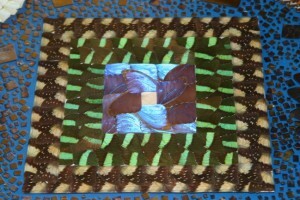 Each wing was meticulously placed. Over 30,000 butterflies are in the church. 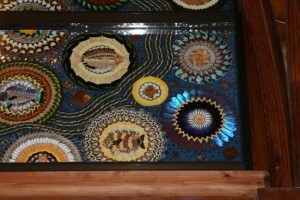 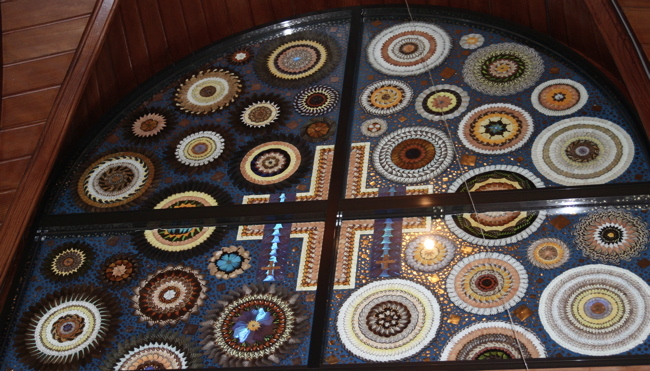 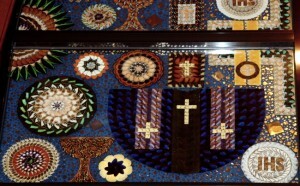 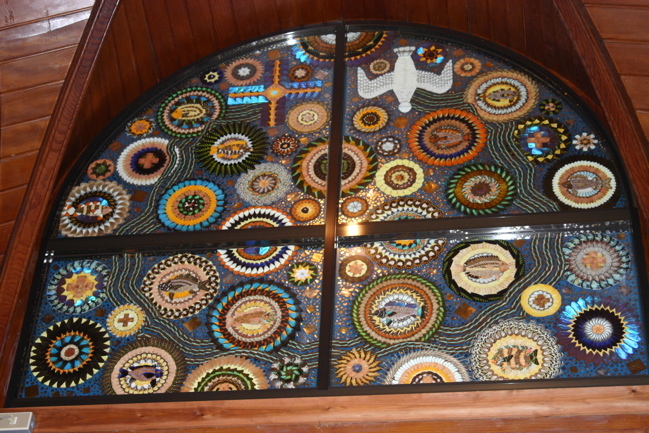 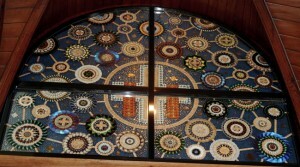 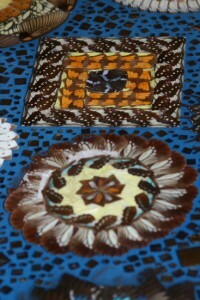 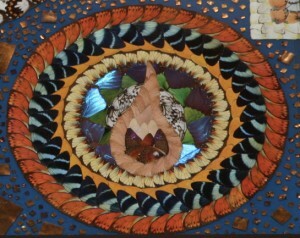 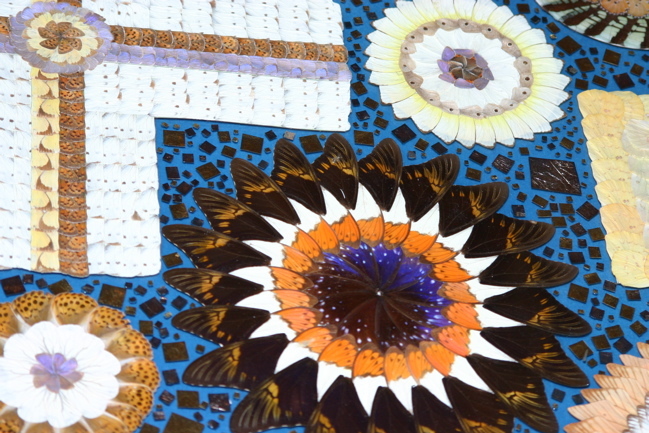 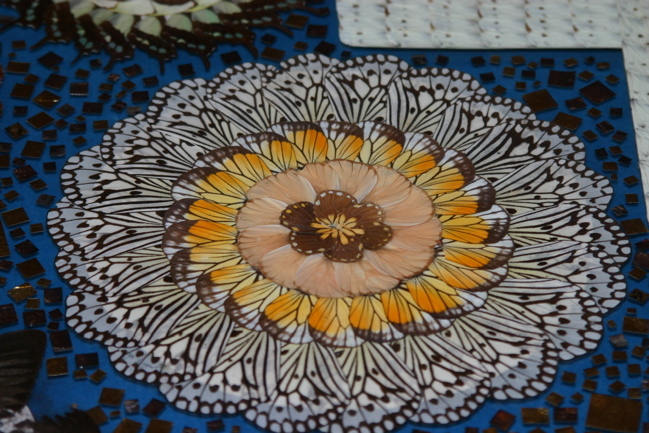 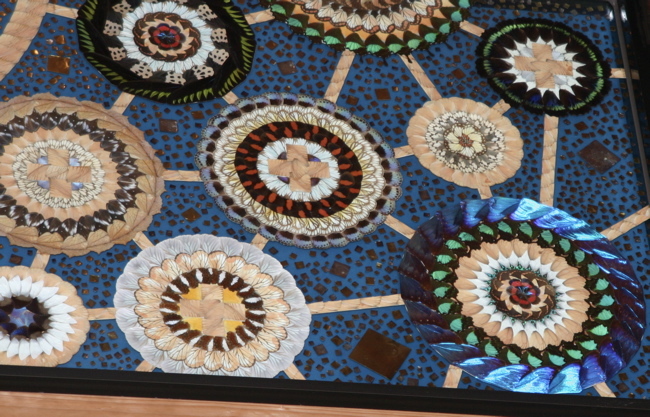 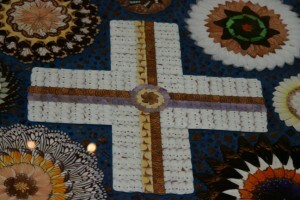 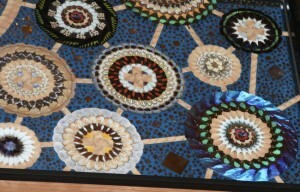 Here is a close up of the detail of the mosaic. 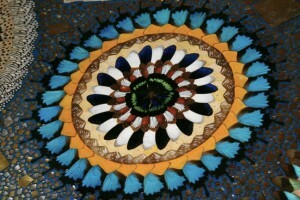 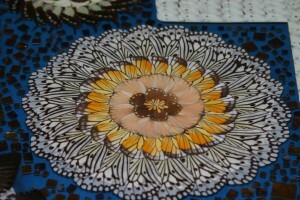 The colors and patterns are astounding. 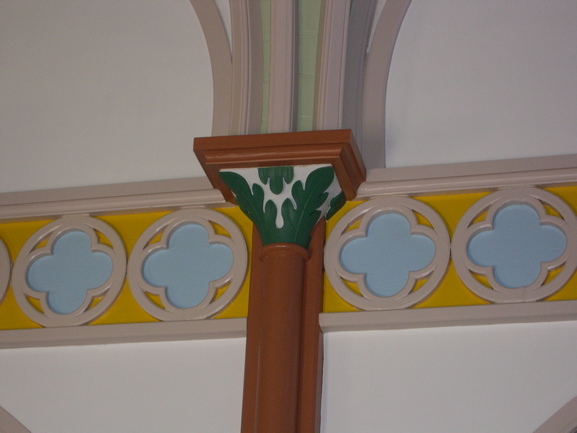 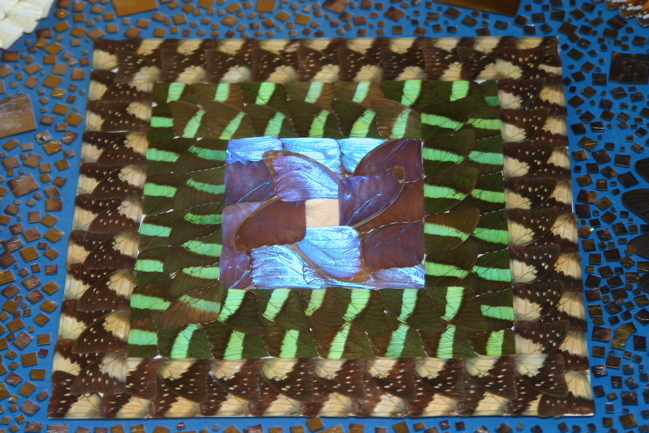 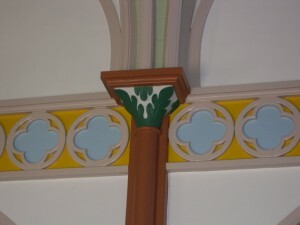 In this section we can see the range of colors from brown and orange to greens and iridescent blues. 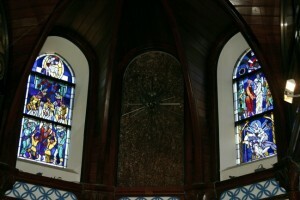 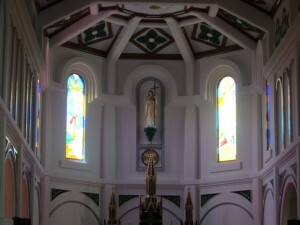 The only stain glass in the church is above the altar. 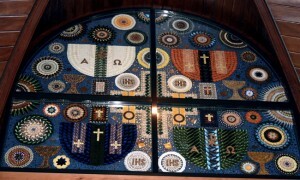 The length and back of the church are all covered in the elaborate mosaics. 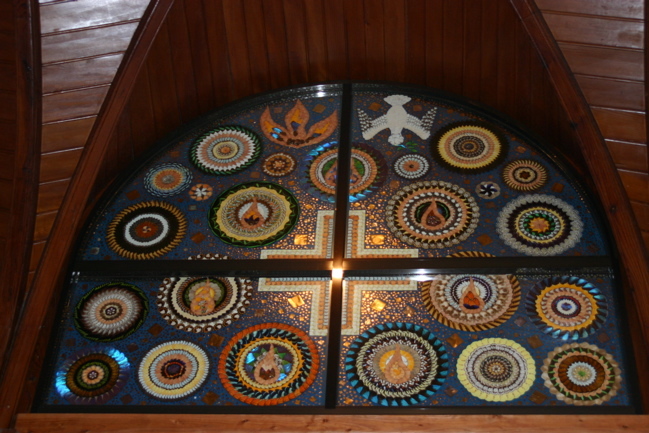 Even in a small Catholic Church on a remote island in Japan, one can find unique and breath taking art. 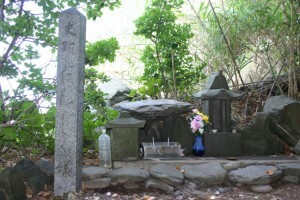 After the church we proceeded around the Island to see some of the sacred places for Hidden Christians. 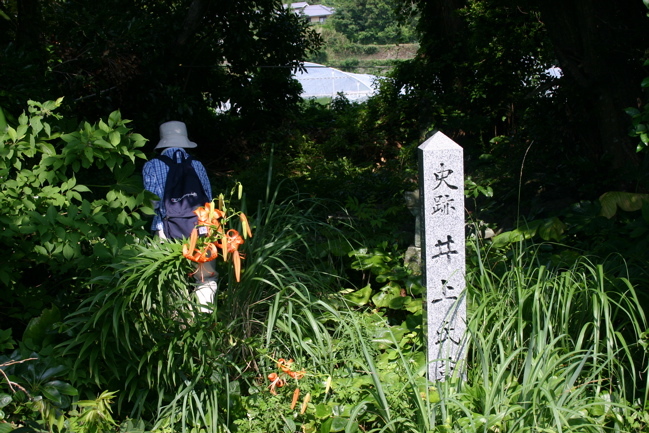 In this small thicket is the one of those sacred spaces. This is a memorial on the Island to the christians who suffered during hundreds of years of oppression. This is a sacred space for hidden christians. 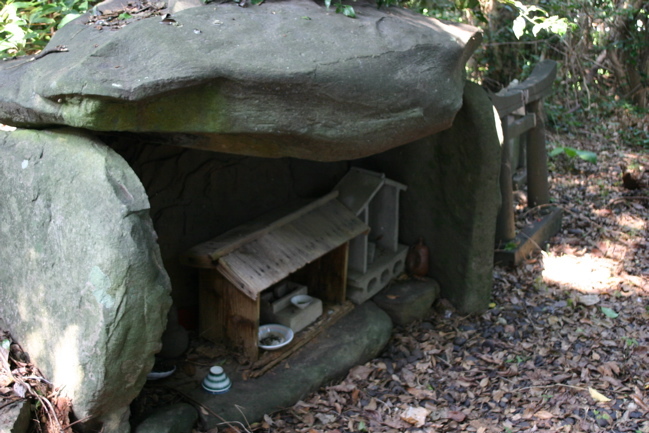 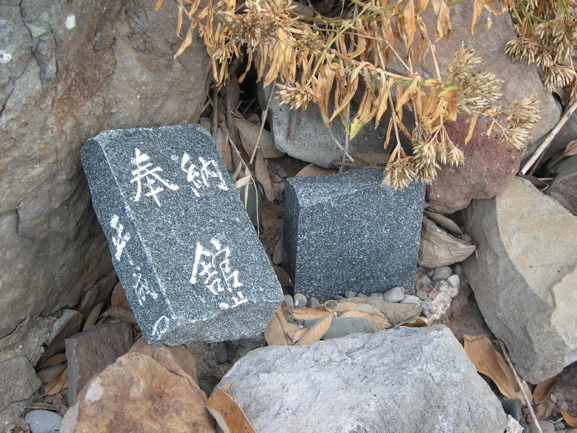 There are many small stone and concrete part to the space and some that look to be shinto but the space one that hidden christians traditionally came. We were lucky enough to meet with Mr. Taniyama. 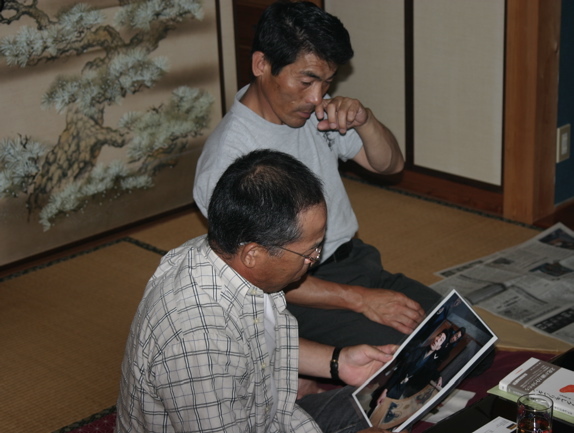 He let us into his home and talked to us late into the night. He was an Ojiyaku and the head of a house hold that had been passing down the hidden christian tradition for hundreds of years. He made the decision to not force his children to carry on the tradition and has become buddhist. 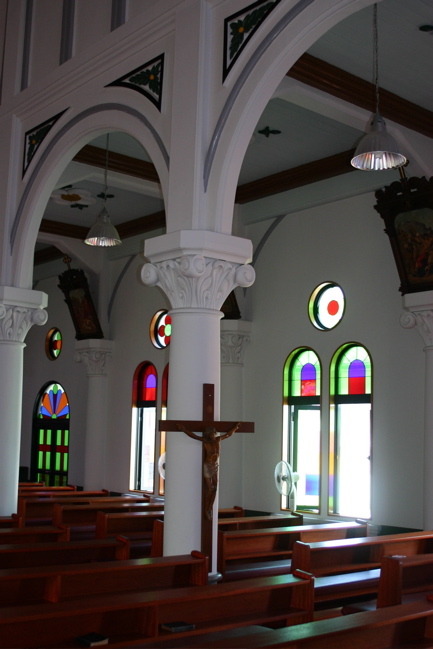 He felt it necessary to record his families history and the history of the hidden christians because in his opinion it is impossible for the tradition to carry on. 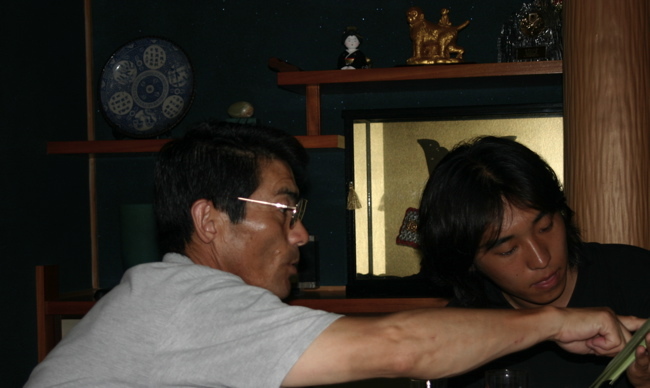 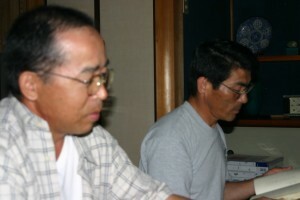 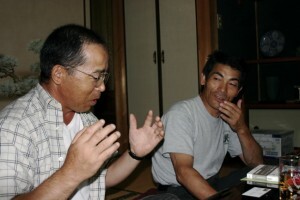 Mr. Fukumoto also joined us that night. 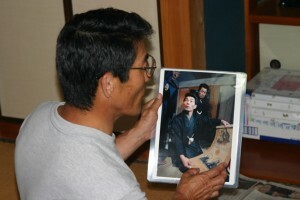 He is also descendant from hidden christians but his father and family decided to rejoin the catholic church. We were able to ask both men about their thoughts on the history and current conditions of christianity in Ikitsuki. This interview was one of the highlights of our studies. 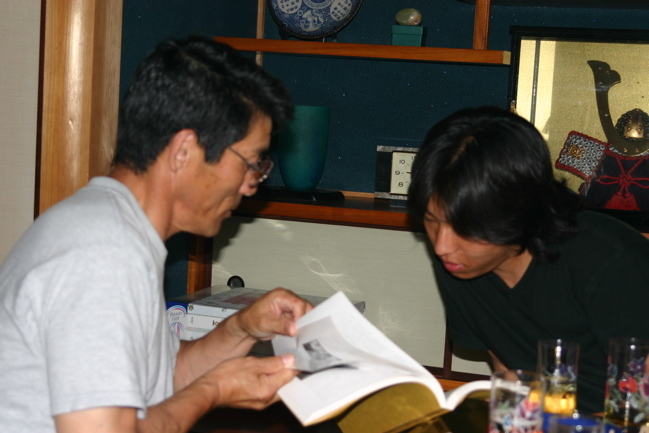 Mr. Taniyama shared books, photographs, newspaper clippings and even and NHK special that he was in that had to do with hidden christians. In the special he was still a practicing hidden christian. 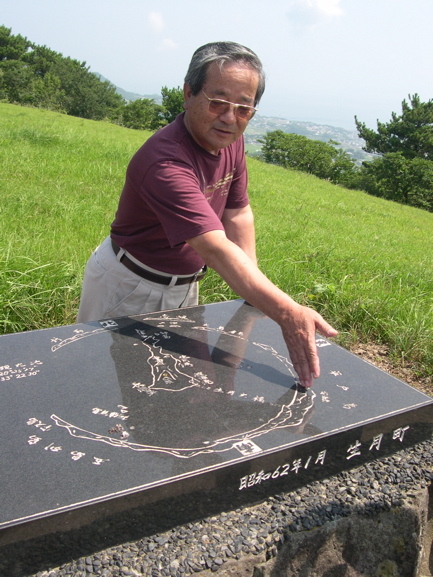 Mr. Fukumoto explains his thoughts on Christian history on the Island and how he and his family fit in as practicing Catholics. 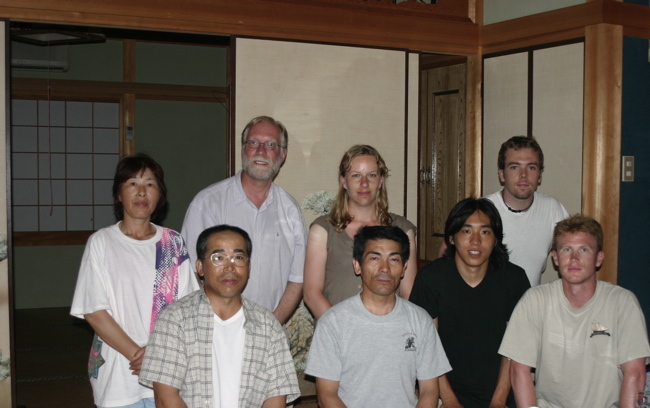 Here is our group with Mr. and Mrs. Taniyama and Mr. Fukumoto after a long night of discussion. The next day we toured the rest of the island. 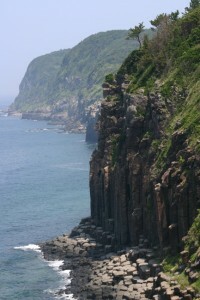 The west side of the island is rugged and beautiful. 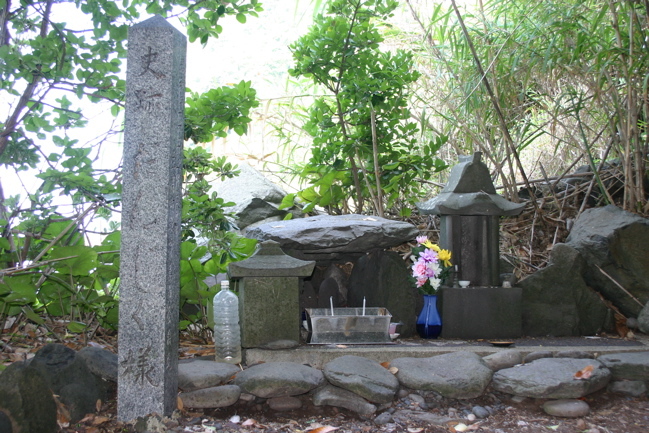 On the west coast there is a sacred space for kakure kirishitans that unfortunately has been littered with garbage all along the beach. 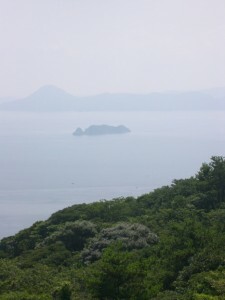 In the distance is the small Island from which the hidden Christians collected the water for baptisms. 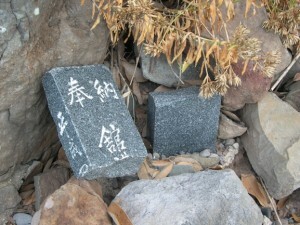 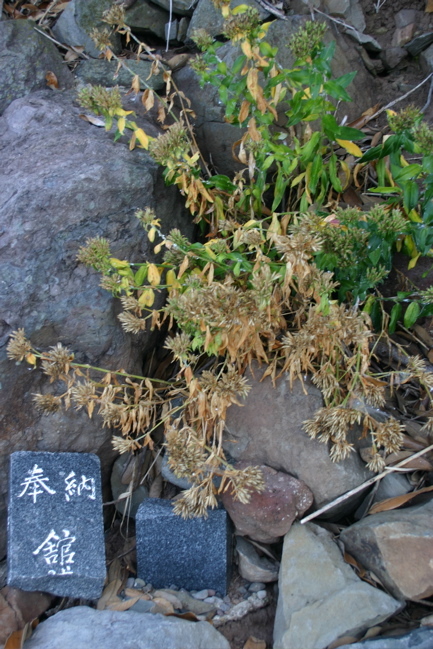 The holy water from this island off of Ikitsuki played a huge roll in their traditions. 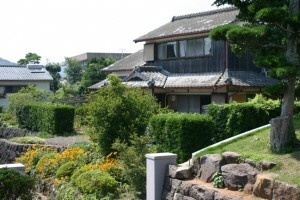 This place plays a unique and paramount roll in the Kakure Kirishitan tradition of Ikitsuki. 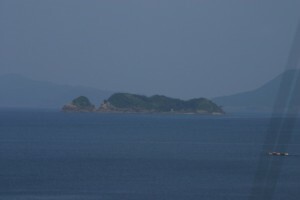 Here is a close up of the same Island. 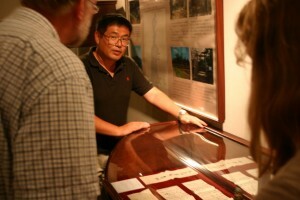 Here is one of our guilds explaining the lay out of the Island. 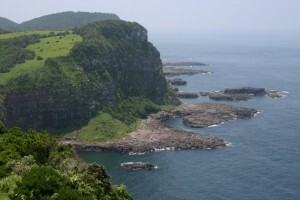 The rugged landscape of the west side of the Island gives the Island of Ikitsuki a subtle balance. 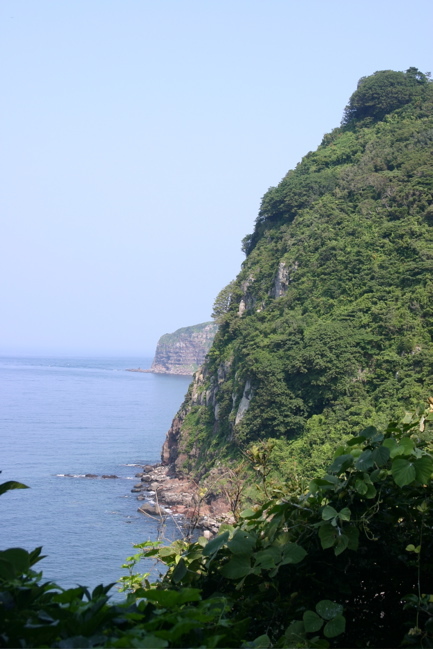 We were all taken in by the natural beauty on this side of the Island. 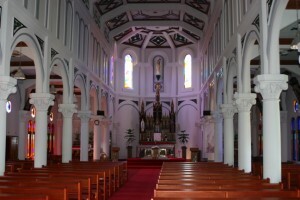 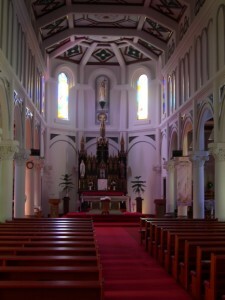 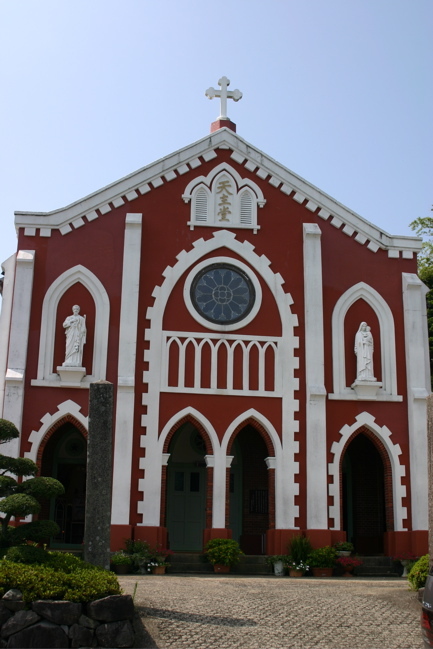 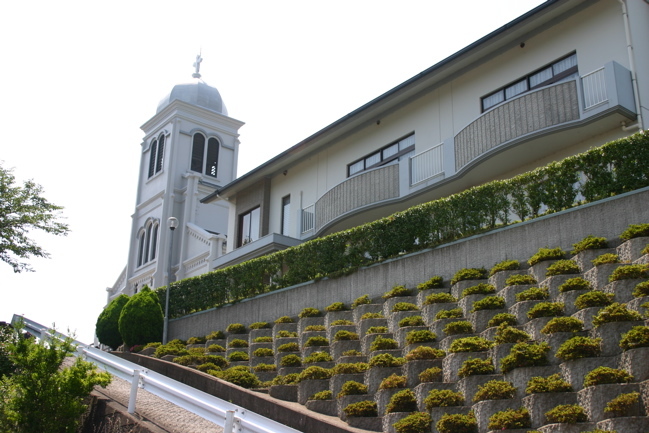 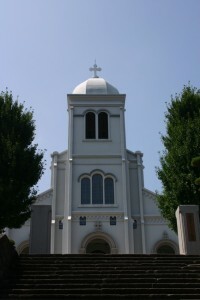 Here is a Catholic Church in Hirado. 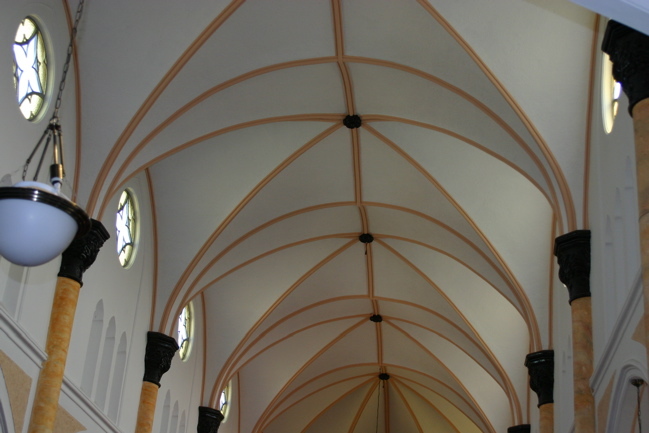 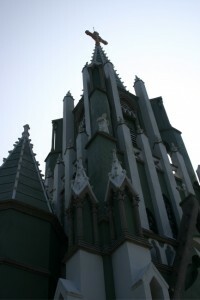 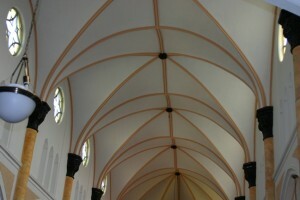 The elements of the church resemble the churches in other areas of Kyushu rather than the one in near by Ikituski. 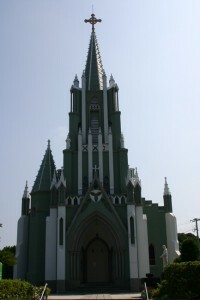 Here is Hoki Church, it has many tsubaki crosses and other unique compenets found only in churches in this region of Japan. 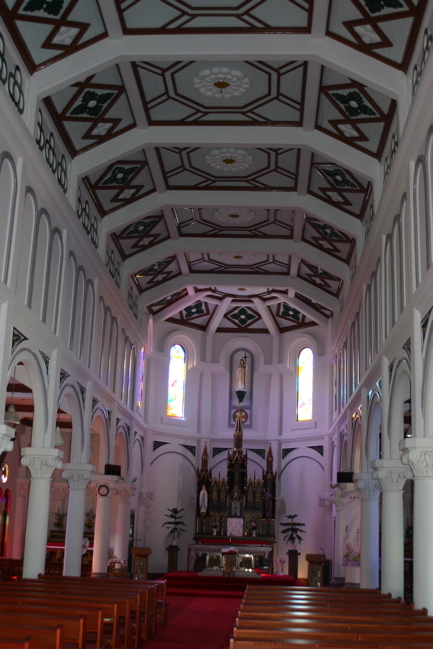 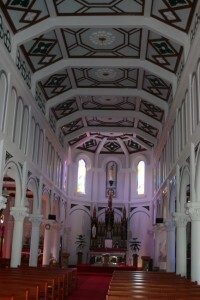 This is Hirado Cathedral, it has one of the more ornate interiors and exteriors of any church we saw.